May 16, 2018: Eldred Pearce Erdman passed away on her 83rd birthday May 4, 2018, with her three children by her side. She is survived by her sister, Phyllida Humphreys, and brother, Jonathan Montagu-Pollack, residing in England. She was predeceased by her parents, Harold Pearce and Delia Snowden Pearce, and sister, Mandy Trener-Michell. Eldred is also survived by her three children and their spouses, Charlotte (Peter) Rizzo of Bronxville, NY, Jonathan (Nathalie) Erdman of Williston, VT, and Jane (Charles Abrahams) Remillard of Boston and by her seven grandchildren, Meredith, Hilary, Matthew, and Alexander (Rizzo), and Hadley, Eryn, and Riley (Erdman). Born in Surrey, England, in 1935, Eldred grew up during World War II and could vividly recount the London bombing raids and the war-torn upbringing that she experienced as a young child. Her late father was killed during The War while serving with the British Armed Forces. Eldred later traveled extensively to South America and then the United States, where she met and married David Erdman of Princeton, NJ, in 1958. She remained in Princeton for nearly 40 years, where she raised her family and owned and operated Old Grange Graphics in Hopewell, NJ. 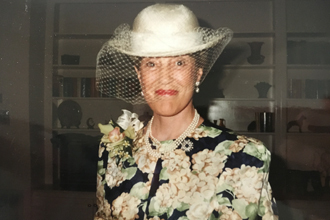 Following the birth of her twin grandsons in 2000, she retired and resided in the Village of Bronxville for fifteen years before moving to Wallingford, CT, nearly three years ago. Eldred was an accomplished bridge player, painter, and cook whose early childhood memories of wartime food rations created her lifetime guiding principle to waste nothing. She also loved reading, knitting, and needlepoint. But her greatest love was for animals of all kinds great or small, her children, and her grandchildren. 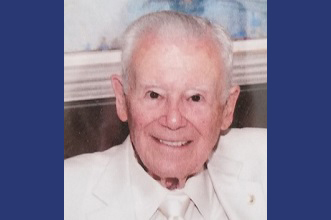 A memorial reception will be held on Saturday, May 19, from 2:30 to 4:00 pm at Masonicare at Ashlar Village, 74 Cheshire Road, Wallingford, CT. All are welcome.